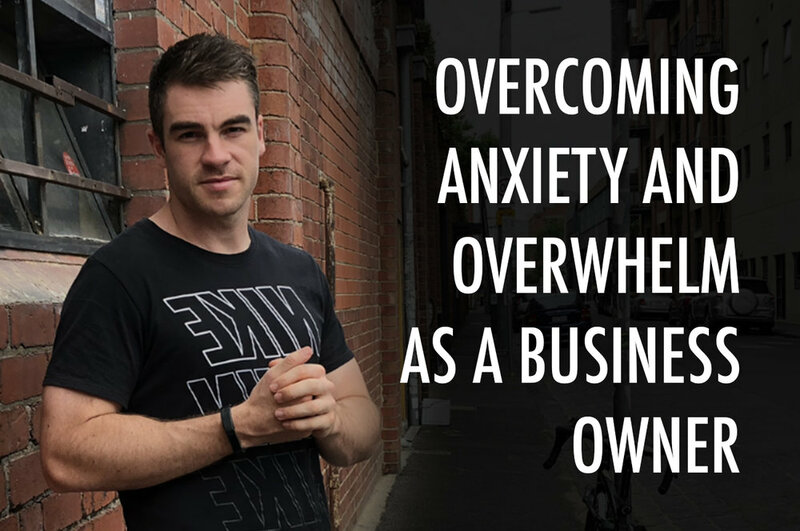 As life (and business) gets busier and busier, now more than ever, business owners all around Australia are reporting they are feeling the effects and deathly grip known as anxiety and overwhelm. Today, I want to share with you a very practical system that you can use every time you feel stuck on the inside of your business. Before we even begin, I want to put your mind to ease. As a business owner, feeling anxious, overwhelmed and discouraged at times is 100% normal. Anyone who has been in business for more than 30 days knows this. The realities are, that business is hard. If you’re striving for delivering more value than anyone else in your marketplace, then it’s natural that you are going to be pushing your limits. But if you don’t have a system to manage this process, what ends up happening is you’ll start spending too much time worrying, and not enough time winning. It’s my goal to help you navigate the feelings of anxiety and overwhelm as a business owner, so you can get back on track to win. While many may attempt to complicate it, anxiety is actually very simply defined. It’s fearing that somewhere in the future you will experience more pain than pleasure. Now, these feelings might be rational or irrational, imagined or real. But in any case, the result for you is the same..you’re stuck, suffering and have no idea what to do next! The good news is, below I have prepared a simple system for you to follow and implement. This means you’ll now have the tools to free yourself from feeling stuck, and actually get moving again. The first thing you’ll want to do, is get really clear on what is causing the problem. Ask yourself a series of questions (sample below), until you’ve clearly identified what the problem actually is. To do this, I recommend you use your $5 psychologist (a $5 hardcover journal you can carry everywhere you go) and write (+ answer) the following questions. What is truly causing this challenge? What is it I am avoiding? What am I really fearing here? You may wish to bullet point your answers, or have a conversation with yourself. Either way, the goal is the same: find the root cause. Step 2: What is the Goal? Now you’ve identified what is causing the issue, you’ll notice the reason you’re feeling anxious about it, is that you’re not where you’d like to be. You may not be making the money you’d like make, you may not be attracting the quality leads that you’d love to turn a healthy profit, or maybe you’re just overwhelmed with the entire process. 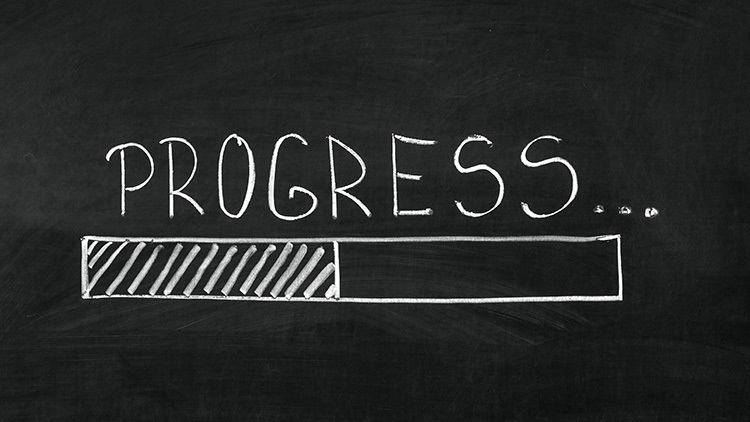 In any case, if you want to start making progress again and breakthrough this plateau, you must define the goal. What I’ve found from working with service based business owners from a variety of industries, is very often, more than 50% of the anxiety and overwhelm they’re feeling, is due to a lack of clarity over what the actual goal is. How many clients do you want to work with each day, week, month and year? What does a perfect business look like for you? We’re going to get to the planning section next, but if you don’t define where you want to be before moving on, you won’t be able to solve the problem. Take the time to discover what success looks like for you. OK, you’ve now discovered the cause of your anxiety and overwhelm, and also identified where you would like to be (your goal), it’s time to now build the plan to get you there. To help in this process, I want you to think about the last three big things you’ve accomplished in your life. Anything that you’re proud of yourself for achieving. Now I want you to ask yourself, how many of these happened by accident? The answer will always be zero. Anything worthwhile that you’ve achieved once started with a plan. That plan was then acted up, and eventually, through hard work, persistence and some creative thought, it resulted in an outcome. It’s simple. Plans work. It’s true that success is never linear, and that in pursuit of a goal, you’ll often be taken off the original path (in order to learn some necessary lessons along your personal journey), but the one thing I know about success for sure is if you don’t have a plan to achieve it, you’ll never get there. To do this, you’ll need to think about where you are now, where you want to be (both defined in steps 1 and 2) and then brainstorm every step in the process to get there. This will take work. New results require new thinking. Again, using your journal, outline, brainstorm and detail the elements of the plan to get clear on the action steps (inputs) required. While the outcome is what you desire, that is not within your control. Inputs however are. And those are what’s going to make it happen. How many clients do I need per week/month/year to make this? How many products to do I need to sell? How many appointments do I need to set each week/month? How will I secure those appointments? How much will I invest into marketing, advertising, savings, and growth? Keep thinking until you have clarity over the steps and build it into a plan to help you get there. Lastly, if you want to ensure you’re winning, you must keep on top of progress. This is the step that most people neglect. They might enjoy the planning process, or the actioning, but when it comes to reviewing and tracking, many shy away from it. It’s most likely because in the beginning, it’s easy to get away with NOT doing this. Because the little things are just that...little. Soon enough however, from little things, big things grow. And like a snowball rolling down a mountain, small problems neglected start to gain significant momentum. Soon enough, just like that snowball, those small things become very difficult to stop. When I first started in my business, no-one showed me the crucial numbers to track. I really was flying blind a lot of the time, and was just using my bank account at the end of the month to track whether I was doing good, or doing bad. That’s a terrible way to run a business. To help you avoid that pain of confusion and anxiety around not knowing how you’re doing, I want to share with you the crucial numbers you’ll want to track on the inside of your business if you wish to stay on top of things. Here is a snapshot of what I (and all of my clients) fill in weekly. You may wish to start using something similar in your business. I promise you it will remove a huge chunk of your anxiety and overwhelm around the numbers, and be one of the wisest investments of time you ever make. 5 minutes a week, to save hours upon hours of frustration. Don’t let the snowball get too big. Stay on top of things and track the numbers that count. This will help. Trusting this all makes sense for you. Remember, in business (and life), the realer you get with yourself, the realer life things will get around you. The key (as with all matters of importance), is to take full responsibility for where you are, where you’re going, and how you’re going to get there. The above system will help...but only if you use it. Let me know if there are any questions by dropping a comment below - I’d be happy to clarify anything that will help you get back on track. Do You Know What’s Next? Coming to you live as I sit in a beautiful apartment in Docklands, Melbourne. Stayed here last night and 'lived it up' a little on account that it's Christmas and all. I wanted to send you a little message to speak about how you can best 'prepare' for your biggest year yet, and ensure your focus is exactly where it needs to be as we head into the next 12 months. Too many postpone their future, in favour of getting their 'hit' now. It's why social media works so well, and also why I see so many businesses continually get stuck at the exact same plateau points again and again. But with so many options, it can feel impossible to know where to put your focus for maximum benefit and returns. Should you be creating videos for social media? What about opening your own place and doing your own thing? Is email marketing still working and should you start? In fact, where do you start with any of this stuff? It really is no surprise that so many business owners right now are struggling to get the clarity they need to push forward and really make 2019 the year they get that big breakthrough. ALL of the answers you're looking for, actually already exist right in front of you. They lie within what YOUR CUSTOMER wants next. See, so many love to look externally at what others are doing when really, their clients already have the answers they seek. Your last 3 client conversations are key. Journal about what was said (and what wasn't). And really think about what those clients would love moving forward. I know many like to complicate it, but good business is actually very simple. It's about helping your client progress to what's next in their lives. Offering solutions to not just their problems today, but their problems tomorrow, next month and next year too. That's how you build something remarkable. As we (very) rapidly approach 2019, if you're not ready, another 12 months is going to fly by. What's going to make the biggest difference between breaking through this year vs staying stuck, is you and your mindset. In particular, your clarity over your next steps. and actually move forward towards building something YOU can be proud of. Unfortunately, without it, you may very well continue to stay stuck. I can help you decide where to next, but first, it's up to you to make the decision you want to play a much bigger game. If you think you're ready to make this coming year 'the one to remember', then apply now for your 100% complementary 'Rapid Roadmap' session with me by clicking here. You + me + ultimate clarity over what 2019 and beyond really looks like. It's a 30-minute call to take an objective look at where you are now, where you might like to be, and what it looks like to bridge the gap. It could very well be the single best decision you've made all year, and it's completely free. Don't delay. Take action upon this unique offer now, and put yourself first. Click here to see if you're a good fit and let's see what your future holds. Today I wanted to share something super important with you. It’s on success…business success. And how you can actually achieve it. If you’re OK with it, I’m just going to dive straight in. Talk is nice, but I’d much rather share what I know works. 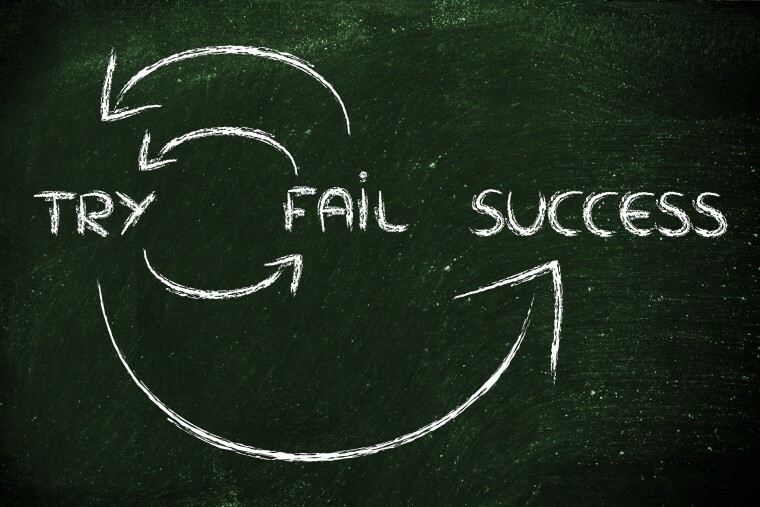 Did you know the number one reason most businesses fail actually has nothing to do with not being good at what they do..? In fact, there are some VERY good ‘practitioners’ out there who are actually light years ahead of both the competition and their ideal customer in terms of knowledge, experience, expertise and ‘in the trenches’ know how. And yet they still struggle…. Below…I explain why…(and what to do about it too). The number one reason most businesses fail has nothing to do with competence, and everything to do with communication. That is, most business owners are (traditionally) shocking at being able to clearly, and precisely articulate what it is they DO for their perfect client, and what that MEANS for their lives. How many course you’ve been to, the content you’ve studied, the videos you’ve watched, and the mentorship you’ve received in your CHOSEN discipline..? My guess is you’ve got a mind FILLED with vast amounts of expert knowledge that the world could benefit from knowing….and yet, a lot of the time, that’s exactly where it stays…in your mind. For today is the day you finally decide to release your genius upon the world and master your marketing. Below I am sharing with you 16 ‘simple’ (but easily forgotten) truisms of marketing that every single successful business person uses. The list is designed to KICKSTART you into the best 12 months of your business thus far and help you break all records. And most importantly, implement them! This is not about YOU. Always remain insanely focused on your client and their biggest dream. Stop selling your ‘product’. Start selling what it does. Spend at least 1 hour every single day learning something new. Never lose touch with your clients and their biggest problems. (Be annoying consistent in your follow up and commitment to serving them). Stop copying your competitors (often they have no idea what they’re doing). Learn to think for yourself. Theory is ‘nice’…but results are nicer. Take small, but consistent actions toward your goals. Forget what you learned in school. Proper English might get you an A, but it won’t get you PAID. Write how you speak, and you’ll do VERY well. “Everyone has a plan until they get punched in the face” (Mike Tyson). Your new mantra is: Act fast. Fail Fast. Learn Fast. Win Fast. Stop overcomplicating things and just get moving in one direction. Keep your head down and your mind moving. The sooner you get over what others think of you, the sooner you’ll breakthrough. Don’t get mad…get good! Master the fundamentals and watch your results soar. (this list is a GREAT start). C.R.F - Consistency. Relevancy. Frequency. It’s the magic cocktail of lasting brands. Follow it at all costs. Clarity breeds success. Get clear on what it is both you and your perfect client wants…and then make a b-line for exactly that. Principles > Strategy > Tactics (use them in that order). No FB ad (tactic) is going to work unless you first master the principles of running an effective business. Stop seeking approval, start seeing results. Enough said. The only people who feel the need to cut you down, are those who are deeply insecure about their own lack of ambition and courage. Enter the winners circle and never look back. As we come to a close, what I want to point out here, is that I bet while reading that, you found yourself nodding your head. I can be fairly sure, this isn’t the first time you’ve heard these nuggets of wisdom. It IS probably the first time you’ve head them in this order, and written in my particular way, but none of the above are ‘new’. Which means, it’s not what you know…it’s what you DO with what you know. If you’re an action taker and know that next year is the year you want to get a massive jump on the competition and actually ‘make it’, then we should talk. Every day I speak with hungry business owners, who are good at what they do, but sometimes find themselves plagued with problems that quite honestly are ‘simple’ to fix (they just need a little assistance and accountability in the right direction). Among them, is they don’t know how to stand out, they struggle to charge the prices they’re worth, they struggle to stay completely focused on one thing at a time, and they aren’t enjoying the fruits that a good business should provide them. In a word, they aren’t happy! If you know in your heart that if you’re serious about change in the new year, and deep down you feel you deserve more than what you’re currently getting out of life, then all you need to do is reach out here. I’ve helped plenty of others who are now achieving wild success in their chosen fields, and now it’s your turn. Don’t let your problems get the better of you…learn how to get the better of them. By filling in the simple form on this page (that takes no longer than 4-6 minutes) you will give me a ‘snapshot’ into your current situation. From that, i will be able to see what it will take for us to get you to where you want to be. Click here and let’s make it happen. Currently sitting in the airport, waiting for my plane ride home from Sydney. Came up here in the wee hours this morning from Melbourne, to deliver a talk I was invited to give to a group of hungry-to-learn personal trainers. (Thanks for the opportunity, Shane). The topic? 10x Business Growth. Although to let you in on a secret, what we really talked about, wasn’t just the outer game of business ‘success’ (the sales, marketing, revenue generation, 50+ lead gen activities, increasing client profit 300+% etc) but we also covered what I call the 'inner game’ too. See, it’s all well and good to know how to generate leads, make a healthy profit and deliver an exceptional program. But for me, it’s not until you first of all discover who YOU are that you will fully embrace the successful business lifestyle. You are (and always will be) your own biggest project. Here are some of the core concepts I shared with the group for you to ponder/explore/think about. I hope they help you..! The currency of today’s world is not money, but time. Use it wisely and invest only where you get a worthy return. Reset your ‘success thermometer’ by increasing your standards. Never allow someone else’s insecurities, dictate how you live in this world. Don’t shy away from greatness, inspire everyone around you to be better through your actions. Your darkest days become your greatest fuel for growth. Sometimes you’ve just got to walk through the mud. It can’t all be good times. Just remember, that’s what builds epic character! It’s not where you are now that matters, it’s where you WANT to be and are COMMITTED to going. Make the commitment to do the work, and then stick to it. Fulfilment is not a destination, it’s a state. Find purpose in what you’re doing by being purposeful. Everyone knows at least 5 things about themselves that they love. This is a good one to use with your clients too! If you haven’t already, commit to doing a minimum ONE thing per day to increase your value in this world. The world only rewards results. Not excuses. I am fascinated, mesmerised and deeply inspired to live my best life. I’ve been really researching and working hard towards living that life for the past half a decade, and so I wanted to share with you some of the things that you can do to start living your very best life as we embark on yet another year. Inside the above video, you’re going to pick up 5 of my SUPER tactics. These are the big ticket items that really move me and my 1-1 private consulting clients forward in our lives. They will allow you to live your passion, move forward with your obsession and make 2019 the year you live your best life. TACTIC NUMBER ONE: The 25 wins list. In our world where it's all about more, more, more, and always wanting to achieve more, all I want to do is allow you to take some time and look back on the last 12 months and ask yourself, what are the 25 wins that I achieved. These can be big, these can be small. Have a think about all the different areas of your life and really just get a A5 journal like I've got here. There's actually 25 or 26 lines down here which makes it really perfect, and what this does it's going to allow your brain to start thinking and really appreciating the journey that you've been on over the last 12 months. We're so quick to judge ourselves when we're not making enough forward progress without really looking back and reflecting on just how far that we've come. So number the page down there and go one to 25 and have a think about all the different wins that you've had, big or small. Maybe it's that you got a new job, maybe it's that you got promoted, maybe it's that you started to get yourself into a gym routine, maybe it's that you started to eat healthy, maybe it's that you started to go on a run every now and then. It's really just thinking about how you've started to improve and those wins that you've achieved along the way. Because you are a different person to what you were 12 months ago, sometimes we get in a negative head space and we forget that this list, there's 25 different items, and don't skimp out. Do all 25 because when you start to think a little bit differently and really go in depth ... I mean, anyone can do five or 10, but when you really start to flick that switch and go, "You know what, I'm going to get 25," then you really start to get the benefits of doing some of this work. ﻿TACTIC NUMBER TWO: The five biggest lessons list. What this is going to do is, of course, during the last year, there may have been some things that you probably didn't anticipate and didn't go how you planned, and we might call these challenges, we might call these failures. What I want you to do is to start to reframe those and have a think about what these actually taught you and what the lesson is that you can draw from those. So, write down again, in your trusty journal, which I advise everyone gets, write down the five biggest lessons that you learned over the last 12 months and what they actually meant for you so you can start to draw the wisdom from that so, again, you don't make the same mistake over the next 12 months. So start to create your five biggest lessons list. TACTIC NUMBER 3: Your five big ticket items. So as we propel into the New Year, I want you to really think about, what are the five things that you would like to or need to have done at the end of a 12-month period to call it your best year yet? And you can go across a whole broad spectrum of your life, you can think about maybe you have to start that business, maybe you have to launch that new product, maybe you have to rekindle and start a relationship with someone. Maybe that someone is yourself. Have a think about the five biggest things that you need to get done and finish and finalise by the end of the year for you to call it your best year yet. Write those all down, and what we're going to do is we're going to start to review these every single day. So the morning before you start your day you're going to recalibrate your mindset and have a look at those big five items and go, "You know what? These are the things I'm working towards." And when we have a goal, instead of bobbing in the ocean or bobbing like cork in the ocean, we're going to get super clear on what we want to do and we're like an arrowhead going towards our goal. What I want for you is for you to have that super clarity. The only way you're going to get that is to start to deliberately think about what it is that you want and how you actually are going to go out there and achieve it. Which brings us to tactic number 4. TACTIC NUMBER 4: Creating your perfect blueprint. So what I want you to do now is create your perfect blueprint, and this is different goals, so I advise having a monthly goal in each of the areas of your life. So we're thinking about what kind of health do I want? What kind of financial position do I want to be in? What do I want to do with my days? How do I want my relationships around me to be? And really start to think about all the different things that would need to happen in order for you to get there. This is going to be blueprinting your entire life, so one of the ways you might like to do this is get your journal and break it into 12 different boxes, so two lines down the middle, three lines down the side. You're going to have 12 boxes, and start to think about, okay, so in January, what do I want to achieve, what would I like to get done? What's February's agenda? What's March? And so on and so forth. What we do then is we have a really good bird's eye view of what are things that we actually need to go out there and get done to call 2019 your beast year yet? TACTIC NUMBER 5: Your action plan. what we need to do now in the simplest most effective way possible. And there's only two letters that you need to know about this and that's do. In order to achieve any of the results in any area of your life, and I know you've heard this before but it's always worth repeating, is we need to do. We need to do the thing, especially the things that scare us. So what I want to ask you to do is inside of that blueprint start to think about, okay, so what are the things that maybe I've been trying to avoid, or maybe the things that I didn't do in 2018 that I probably should have, and how can I start to propel myself into action? What we need to do is raise your awareness over what some of those items are so we can start to move forward with those things and really get the action happen. I want you to become and transform yourself in 2019 to become a person of action, a person of extreme value that acts on their dreams, on their hopes, on their desires, on their blueprint that they've just created. So, if you were to do those five things, I guarantee you you're going to live an amazing life in 2019. If you need any help creating any of this stuff, please drop a comment below. I'm more than happy, or with anyone, the whole community can jump in there and help, but I'd be more than happy to point you in the right direction. Let's make 2019 your best year yet. Please let me know what you think right on Instagram here, or by dropping a comment below. Live Your Life and Stay Great! Up in Brisbane for the week and feeling GREAT. It's early, I've journaled, I've read and I've got a hot cup of coffee with me ready to share some wisdom with you. There's just something about escaping the normality of routine and switching things up that forces you to both grow and relax at the same time. Today, as we embark on the last little part of the year, I want to help KICKSTART you into a whole new gear. While most are winding down, we are just getting started! Below I have written what I call 'The 27 Potent Points of Personal Power' What does that mean though? Well, it's 27 small (but intense) pieces of hard out wisdom passed down through the ages to help YOU play your best game...in your business, your relationships (with both self and others), your life, and your future. But instead, as a kindling to get your inner fire re-lit and bring back the passion, productivity and purpose inside your life as we head towards the last month of 2018. 1. Commit to giving up your addiction to distraction. 2. Aim to always be a person of EXTREME value. 3. Focus on delivering your very best. 5. There is always hope for the future. Sometimes you've just got to look a little harder. 6. Become freaky good at what you do. 7. Focus on your gifts, not your grievances. 9. Better knowledge leads to better awareness. Better awareness leads to better decisions. Better decisions lead to better results. 10. Only YOU know what's truly best for you. 11. Have the courage to dance to the music playing in your heart. 12. Guard your focus like your life depends on it. 13. Never be shy with your ambitions, goals or actions. 14. Rise early and win the day. 15. Take at least 1 hour a day to work on project YOU. 16. When it comes to delivering your service, always sweat the small stuff. The small stuff DOES matter. 17. Education might make you a living. But self-education will make you a life. 18. Stop running a story of defeat. Re-write the script of your life so you WIN. 19. Do the work. Today. And every day henceforth. 20. Never drop your standards to accommodate for someone else's insecurities. 21. 1% daily growth compounded over 10 years is impossible to beat. 22. Whatever you do, actually DO it. 23. Discover what makes you happy and do more of that. 24. Destroy comparison by focusing on you and your clients ONLY. 25. No-one is coming to save you. Save yourself first. 26. THINK before you speak, act or jump to conclusions. 27. Face your demons head-on. They're there to teach you the lesson you most need to learn. What's important here, is that you try not to just quickly gloss over the above. I want you to go back over it. I want you to study it by re-reading the entire list (this time starting from the bottom). You will notice 1 or 2 items that really stand out. These are the things you truly needed to hear today. I know with the right 'growthset' (growth mindset), attitude and master blueprint you can dominate the remaining 41 days of this year. You've still got 6 weeks to kick it up a gear and WIN. There's still time... Don't write yourself off. "I hit rock bottom and survived..."
Today I want to share a quick story about an amazing lady, client, friend and WARRIOR, named Jess. Originally Jess came to me just over 14 months ago now and wanted to get her business up and running. She had both a personal training business, but also a very unique workshop series called Foldenmove®. Now Jess has worked EXTREMELY hard and diligently over our time together and is one of the most genuine, sincere people I know. But like any journey, she has had her share of ups and downs. What you’ll see in the video below, is what Jess learned from not only hitting rock bottom (and having .37cents in her bank), but how she has re-built stronger than ever and building a waiting list of clients that continues to grow each week. Jess is a fighter. After coaching and guiding her for most of the time I’ve known her, she has shared both tears of joy, and tears of pain with me. But one thing that makes Jess so amazingly unique, is she is as REAL as they get. With Jess, there is literally ZERO ego. She is all heart! And as you can see from a small selection of additional videos I have chosen to select below, she is impossible not to love. I hope you enjoy a small glimpse into an incredible operator. Well done on all your continued success, Jess. If there's one thing I know for sure, it's that to be the best, you've got to fuel your mind with the best. Like healthy food is fuel for the body, healthy advice is fuel for the mind. What you see below is a list of 25 'lessons' in greatness I have created and compiled for you. It summarises several key points I've learned throughout my journey in business and if you're in a bit of a 'rut', I think it's going to create a whole new level of inspiration within. My recommendation is to highlight or screenshot 3-5 of them, make those items the background of your phone and then focus on fulfilling those particular lessons over the next 31 days. Realise and accept there are going to be ‘off’ days. Regroup and come back stronger tomorrow. REJECT the mediocrity virus at all costs. Never settle for anything less than you’re truly capable of. Let me know which hits home the most for you. Coming to you live from Perth at the moment, just flew in this morning, but wanted to send you a quick note. There’s a couple of known, yet often forgotten, truths that set apart the good businesses from the great ones. Things that when shown to you, will seem obvious, but in most cases, are overlooked. Sometimes that happens consciously (due to laziness or lack of motivation) but the majority of the time, it’s simply because most don’t know any better. Today I want to share with you one of those ‘truths’, and hopefully help shine a light on it for you. Instead, they need a leader who’ll help guide, advise, inform and support them on their journey to a better self. Someone who will listen, believe and educate them. 3. Be the leader they’ve so desperately been searching for to help get them from A to B (and beyond) as quickly and effectively as possible. Just think for a second, how long do you think it has been since most of the people in your audience have had someone truly believe in them? Someone willing to take the time to stop and help them understand their issues, before suggesting how they can effectively work together as a team. It’s probably been years (and even more likely…an entire lifetime). you could be that person. There are two types of people in this world: Know-it-all-Noel’s, and Helpful Harry’s. Know-it-all-Noel, shouts from his ivory tower why what you’re doing is wrong, unintentionally (and sometimes intentionally) implying that you’re stupid, uneducated and lazy for not knowing all the answers. Helpful Harry on the other hand just wants to be of service. He genuinely, and authentically wants to lift those around him up to higher heights. He listens intently, offers a new perspective to your problems, and never leaves you confused or uncertain on your next steps. Now let’s apply this to you and your own situation. Do you really need another ‘expert' speaking at you? Reeling of shallow motivational quotes and rushing you through his canned six step sales process only to move into his next call? Or...would you love someone to just sit down with you, put all their judgements to the side and work with you to find the path that best suits your style and personality? I think it’s safe to say we all know deep down when someone really cares about us vs. how much money we can put in their wallet. By following this advice, you will quickly and effectively set yourself apart from the crowd. I’m willing to bet that almost every one of your competitors right now has their focus on the wrong things. Instead of helping the customer understand a new way of thinking and shifting their long-held limiting beliefs, they’re probably on the hunt for the next quick sale or trying to reduce the cost per lead inside their latest ad campaign. The human side of the business. The fact is, that behind every ‘lead’, is a human being…an individual with individual needs, individual wants, individual fears, and individual frustrations. The good news for you, is I'm almost certain none of your competitors are reading these words. They don’t have ‘time’. Which means right now, you already have a major advantage and ‘head start’…and if you act fast, you’ll take maximum advantage. The question is, are you ready to be a Helpful Harry? If you know you could genuinely use the help of a coach who cares to perform a no obligation 100% free assessment of you and your current situation in business, check out this page for directions on how you can do exactly that. If you think you’re a good fit for this free call, and are ready for a completely different personalised experience, then let’s talk. On your journey of self improvement in the pursuit of creating the business you love, there are going to be times where you get stuck in a rut. Sometimes it’s a small rut, other times it can last weeks or months at a time. There aren’t many guarantees I can give you in life, but the one I can give, is that there will be no shortage of ‘tough times’ for the one who chooses to wear the business owners hat. For me, I honestly underestimated exactly what it would take to grow the business I am able to enjoy today. But if you know your business is a little stuck, and you’re feeling kind of helpless or lost on what to do next to get out of this situation, then today I want to speak with you. The first thing I’ll say, is all of the above is completely normal. I remember seeing a psychologist about some challenges I was going through in my life and explaining that it all seemed to be linked to my business. When the business was going good, I felt on top of my life...but when it was stagnating or worse, going backwards, I felt immense pressure and like a massive failure. In business there are two phases to a business. A growth phase, and a renewal phase. When you’re growing, it’s all about marketing campaigns, creating new products, consistently making sales, developing new relationships and really pushing. Then, in the renewal phase, it’s all about serving the client at even higher levels, going deeper on your knowledge and of course, injecting a hit of both educational and inspiration back into what it is you truly do. Despite what you might see online, everyone goes through these two stages. No-one can play offense all the time. Can you imagine a soccer match where all the players were just trying to shoot the ball the entire time? No matter where they got possession, without even considering passing the ball or strategically setting things up, they just lined up the goals from the other side of the pitch and went for it? To win the game of businsss (and life) It takes a combination of both offense and defense. The trick is to know when to switch things up. If you know you’ve been stuck in a rut for a little too long, perhaps it’s time to reach out and discover why? Freedom is defined by you, the individual. You no longer have to go it alone. Reach out today for your 100% free ‘Future Fit Clarity Call” to see if we may be a good match as your growth partner. It’s a simple way to speak with a professional business coach with no obligation to buy anything (often we just point you in the right direction) but to give you some clarity in moving forward to create the life you’d love to live. Don’t delay. Reach out here.